The intent was to try to mobilize the community to respond to a survey confirming that rates of intermarriage and assimilation had risen to a level that threatened the future of non-Orthodox Jewish life in this country. Fewer Jews are raised in a Jewish home, have Jewish connections or have a sense of Jewish peoplehood. In 2015, the group of scholars produced a document, “Strategic Directions for Jewish Life Call to Action”, which put forth a blueprint of action items to deal with the problems of disaffiliation, intermarriage, late marriage and low birthrates that were turning Jewishly committed non-Orthodox families into a minority group, if not an endangered species. But the response from the organized Jewish world to recommendations involving more investment in non-controversial ideas — such as support for schools, camps and trips to Israel, and other efforts to bolster the formation of Jewish families — was as instructive as the study itself: They weren’t interested. To the contrary, most of those in positions of influence in the non-Orthodox denominations and in communal philanthropic entities viewed the attempt to sound the alarm about the obvious consequences of the trends Pew illustrated as outdated thinking, or mischaracterized it as a mean-spirited effort at exclusion. Three years later, two of those who led that unsuccessful attempt are back. Scholars Steven M. Cohen and Sylvia Barack Fishman have authored a study published by the Jewish People Policy Institute that once again calls attention to the implications of the decline of the non-Orthodox Jewish family — and calls for action. To their critics, who claim they are insensitive to the needs of the intermarried or those who have no interest in traditional institutions like synagogues, Cohen and Fishman simply point to the numbers. If you want a collapse of non-Orthodox Jewish life in this country, just keep doing nothing, or worse, as many in the Jewish community are doing, pretend that the decline is not such a bad thing. This is, in fact, what much of the organized Jewish world is doing these days. It’s a reaction based on some of the Pew data showing that many of the children of intermarriage, including the vast majority who aren’t raised in exclusively Jewish homes or get any sort of Jewish education, actually identify in some way as being Jewish. Rather than lament this shift, we are told to embrace and celebrate it. If Jewish identity is evolving into something more fluid and less rooted in religion, let alone in communal institutions and causes like support for Israel, then so be it, say the opponents of the Cohen-Fishman approach. At the other end of the spectrum, Orthodox Jews react by engaging in triumphalism, ignoring that even they will be diminished by what happens to the other movements. The Pew statistics are the result of freedom and acceptance. 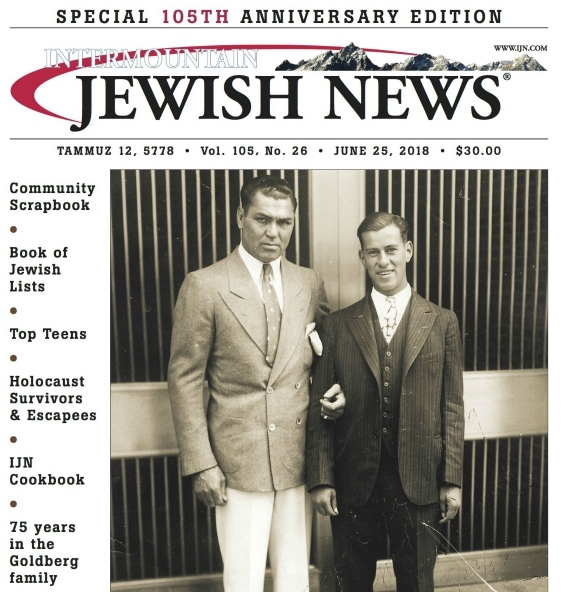 The pride that even those with tentative ties to the Jewish community feel is the product of an American culture in which Jewish identity is widely admired, and in which there are virtually no barriers to success in any field. A byproduct of this freedom is a belief that parochial ties or any boundaries between groups are inherently bad. Given the vast number of Jews who now intermarry, it is hardly surprising that any effort to encourage in-marriage or conversion is now treated as not only out of touch with reality, but also as bad manners. It has become mainstream thinking to reject any policy that might somehow offend those who marry out, or even those who don’t wish to raise their children as Jews. But this discussion isn’t about hurt feelings or the false accusation that those who advocate endogamy don’t want to welcome those who wish to be part of the Jewish community. We can’t count on Orthodox demographic growth to take the place of the millions who are drifting away. Placid acceptance of trends that point to the end of the American Jewish world as we know it is no answer. Those who want to keep their heads in the sand can go on pretending that a future in which many (if not most) of Americans who call themselves Jews will have few ties to faith traditions or Jewish peoplehood is viable. Those who want to enable the continuance of a community that can enrich the lives of those who take part in it, and a community that can support vital Jewish institutions, should heed the call of Cohen and Fishman.